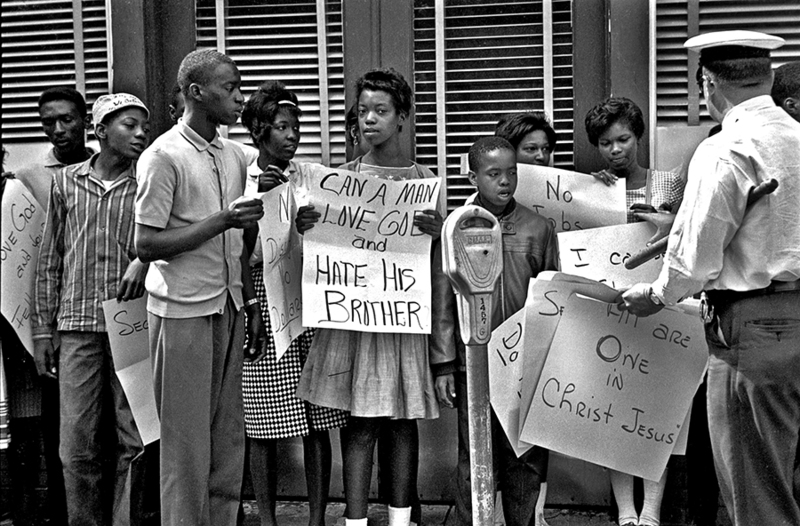 In this May 3, 1963, photo, Birmingham police officers take signs from young people participating in the Children’s Crusade. This effort was part of the larger Birmingham Campaign of 1963, a widespread movement aimed at ending segregation in Alabama’s largest city. Photo courtesy of The Birmingham News; photo by Ed Jones. From police brutality to sexual assault to gun violence, this has been the era of the effective protest. Last week’s March for our Lives was no different, except, perhaps it was led by and executed by our country’s youth. Hundreds of thousands of them made their way to our country’s capital demanding stricter guns laws in an effort to end the mass shootings that have plagued our nation and given rise to fear, especially on our school campuses. However, the effectiveness of children fighting on the frontlines of the battle for change is not new. When you have some time…pick-up a copy of Malcolm Gladwell’s book David & Goliath and read Chapter Six on Wyatt Walker. The book is about the “art of battling giants” and the chapter on Mr. Walker paints the civil rights icon as a “trickster figure extraordinaire.” Mr. Walker was the executive director of the Southern Christian Leadership Conference, the organization led by Dr. Martin Luther King, Jr., whose granddaughter’s surprise appearance at the March for Our Lives protest in Washington DC harkened back to the tremendous success of the March on Washington over half a century ago. Mr. Walker was a Baptist minister from Massachusetts who joined Dr. King in 1960, and was later deployed to Birmingham, Alabama to lead the civil rights crusade in that city. The year was 1963. The movement was in crisis and needed a major victory. Birmingham, nicknamed Bombingham at the time due to the Klan’s’ explosive crimes against Blacks, was considered one of the most racially divided cities in the nation. And the city’s chief law enforcement officer Eugene “Bull” Connor was a hard-line segregationist. The goal of the Birmingham Campaign was to put America’s continued racial segregation in the spotlight by drawing consistent media attention. And Mr. Walker’s plan, he named Project C (C for Confrontation), was staged in three parts – all intended to build on the previous actions beginning with sit-ins at local businesses, then boycotts, then mass marches and mass arrests. Once Mr. Walker’s plan finally started working, it was his idea to raise the stakes by using Birmingham’s children in the effort by staging non-violent protests that ended in the arrests of hundreds of school children. And while he and Dr. King were widely criticized for doing so, that was the very reason the campaign – and the inequality and racist laws it was fighting against – became a national and international media story. Seeing our children use the power of civil disobedience and of social media to galvanize a movement around gun violence is not only encouraging, it’s inspiring. In the book The Crossroads of Conflict, author Kenneth Cloke argues that all conflicts are catalysts for learning,” and that “evolution, growth and wisdom move towards reconciliation, collaboration and community.” In regards to reforming our gun laws I am confident that our children are leading us in the right direction…I just hope our elected leaders have the will and wisdom to follow.